Stacking the Shelves is a meme hosted by Tynga's Reviews to show what your book haul for the week looks like! Interesting. I've never heard of this book. I haven't heard of that book but it sounds really interesting so I hope you enjoy it! :) Happy reading! Haven't heard of this one, but the cover is really cool! I love the cover, and that's been one of the books I've been looking forward to for quite a while. Hope you like it! Thanks, it's quite good so far! I don't think I'd ever heard of this book before. I'll make sure to look into it. I hope you enjoy. Thanks, it's a pretty interesting concept! It's really good so far, I hope you get to read it soon! I don't think I've ever come across this novel before! Thanks for the alert! No problem! I hope you get to read it! It's cool, right? Thanks for stopping by! I like how many elements it has, it's not too simplistic. I haven't heard of this book before, but it sounds fascinating. 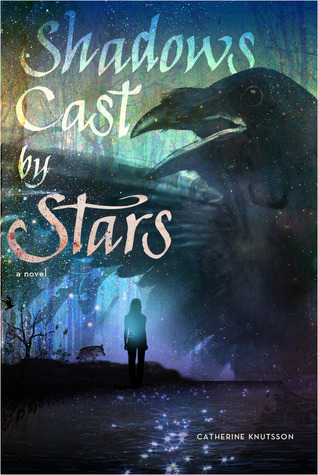 Shadows Cast by Stars sounds like a nice read :) Enjoy reading! It's got such a unique premise! Thanks for stopping by. Night Sky Blog Tour Guest Post!